FREE Podcast - How to ready your home for a home exchange. How do ready your home for a home exchange? 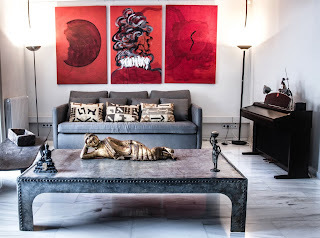 You have found a great vacation destination for your home exchange, now you need get your home ready for guests. This chapter of the Home Exchange Guide covers this next step in completing a successful home swap. At your convenience listen to this podcast through the IVHE.com podcast series. You will hear about easy steps to take which include: Cleaning and tiding up your home, keeping valuables safe, preparing your kitchen, bedrooms and bathrooms, the importance of a household guide and communicating with your guests about key transfers. Listen to this new podcast and take another step closer to enjoying all the benefits of house swapping when travelling. The first four chapters were previously released and are still available. They cover important topics like Why Home Exchange? , Are all Home Exchanges the same? , How do you choose the best home exchange network for you? and How to get an exchange? Plus 10 Things to Avoid, Your Membership Checklist, and a sample Home Exchange Agreement. The author, Larry Klimczyk is an avid traveller having visited over 60 countries around the globe. He shares his experiences of home swap over the past decade. Subscribe to this blog or the podcast series and automatically receive an email when these future chapters are released, or download a PDF version today at Home Exchange Guide. For additional information on home exchange, visit the IVHE You Tube Channel. We all know of hot dogs, burgers and sausages on the barbeque but how about adding some great veggies to the meal? Make it fun by adding an assortment of flavors without spending hours in the kitchen. Add vegetables when cooking outdoors on a barbeque while on vacation. Wait, how can you enjoy a barbeque on vacation? 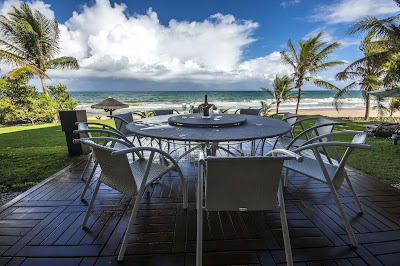 Very few hotels or resorts have this option, but with home exchange you can enjoy many wonderful conveniences and amenities while visiting an exclusive vacation home – a bbq is only one great advantage of home swapping while traveling. You will have a kitchen for preparing your food then you can step outside with your favorite refreshing drink to cook your meal in the great outdoors. This is the second blog with tasty yet simple to prepare bbq ideas while traveling. Having the option to ‘cook at home’ is great for relaxing and saving even more money while traveling. With IVHE.com, International Vacation Home Exchange, two out of three of the listings has a barbeque for you to use! Interested in reading and listening to home exchange experiences, check out these testimonials. Being on vacation you may not want to spend hours preparing a meal, so we would like to share with you some simple yet delicious veggie dishes for your barbeque. Corn on the cob is usually a big winner with kids of all ages. Unfortunately corn on the cob can take ages to cook on a BBQ and can dry them out. Make life easy, cook them in the microwave first, and then use the bbq grill to finish them off to your personal preference. Adds extra flavor and keeps the corn on the cob warm while you are finishing off your meat dishes. Mushrooms full of flavour are a great treat on the bbq. To prepare sprinkle some olive oil on the inside of the cap adding in some Italian spices (should stick nicely with the oil), cook briefly on the main grill (both sides) then move to a upper gill off the main flame. With about 5 minutes left for the rest of your meal, with the top of the cap upside down, add in slices of your favourite cheese. We would recommend a creamy and flavorful cheese like brie or maybe something stronger like Pont l’Eveque. For a treat, before adding the cheese try adding small slices of chorizo, will create an explosion of flavors on your tongue. Interested in adding some spice to your meal? Onions, peppers and garlic are all every easy and great to mix in with the rest of your meal. If you enjoy all of these, slicing them into chunks and then skewering make barbequing and eating easy. Simply drizzle with olive oil and season with your favourite spice. Enjoy them on their own, quarter the peppers, halve the onions and leave the garlic cloves whole. Like with the corn on the cob, take advantage of having a kitchen and microwave things first to speed up the process. If you are looking for quick, easy and tasty meat dishes, check out an earlier blog on home exchange bbqs. Do you have a favourite barbeque recipe to share? Send us an email; we would love to include it in a future blog. 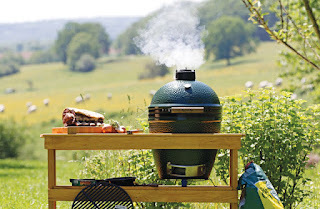 For more information on home exchange barbeques, visit this blog. Are you new to home exchange? 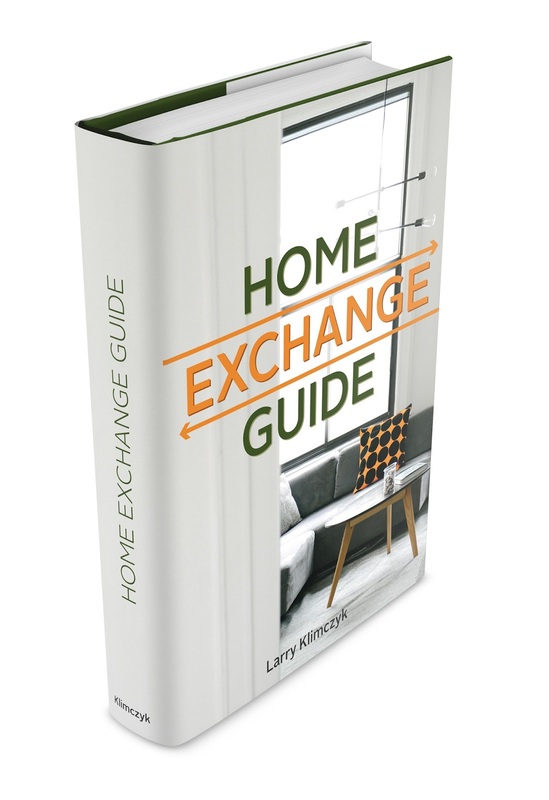 A FREE Home Exchange Guide is available for you to download at www.ivhe.com/home-exchange-guide. Start planning your next vacation now. Walking is a great way to experience the world. You really get to soak in the scenery, clear your mind, breathe in fresh air and its great exercise for your body. As a couple or in a group, unlike other exercise, hiking is also a wonderful way to have a conversation (unlike panting while running or shouting while cycling). Many of our vacation home exchange members love exploring areas on foot, creating a great vacation; learning about a local area and enjoying the outdoors. The Cotswolds in England has to be one of our favourite places in the world to go rambling. The beauty of rolling hills combined with the unique pristine Cotswold stone villages makes this part of the world very special. Cotswold stone is a yellow Jerassic limestone with a honey or golden color that seems to change with the intensity of the sun. The most famous trail in the area is the Cotswold Way, a 102 mile path heading North from Bath ending in Chipping Campden. It was designated a UK National Trail in 2007 but the region has been a favourite destination for hikers and walkers for decades. Thanks to the Romans, centuries of traders crossing the area and today’s rambling societies there is an estimated 3,000 miles of paths in the Cotswolds, an area about 25 miles wide by 90 miles long. Pretty villages are dotted all around the area, favourites with tourists include Burton-on the-Water, Lower and Upper Slaughter, Broadway, Bibury and of course Bath but the truth is you can literally stumble upon dozens on your walking adventures. The area was famous across all of Europe for its wool production as early as the 12th century. Today you will still enjoy seeing plenty of sheep as you transverse the fields. Of course spring is a great time to see and hear the young lamb calling for their mothers. Home exchange is a great way to enjoy a walking vacation in the Cotswolds; you can have a spacious place to stay, all the amenities of a home and save thousands in accommodation costs. Click on any of the pictures to view in more detail a few select choices of listings with IVHE.com in the Cotswolds. Interested in walking and hiking, we have a full search for all properties that feature walking destinations here. Enjoy! How do you get a home exchange? Is the subject of this chapter (4) of the Home Exchange Guide. You can enjoy listening, at your conveninence through the IVHE.com podcast series. You will learn the easy steps to take in fining the right home exchange for your next vacation, this includes the power of photographs, the importance of communication and how to build a profile and listing for your home. Listen to this new podcast and take another step closer to enjoying all the benefits of house swapping when travelling. The first three chapters were previously released and are still available. They cover important topics like Why Home Exchange , Are all Home Exchanges the same? , How do you choose the best home exchange network for you? Steaks, burgers, chicken, corn on the cob and grilled veggies are all great for meals especially on vacation. Make it fun, cook outdoors on a barbeque. Wait, how can you enjoy a barbeque on vacation? Very few hotels or resorts have this option, but with home exchange you can enjoy many wonderful conveniences and amenities while visiting an exclusive vacation home – a bbq is only one great advantage of home swapping while traveling. You will have a kitchen for preparing your food then you can step outside to cook your meal in the great outdoors. Having the option to ‘cook at home’ is great for relaxing and saving even more money while traveling. 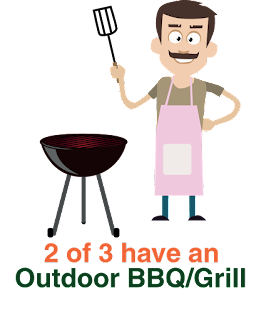 With IVHE.com, International Vacation Home Exchange, over two out of three listings has an outdoor grill or barbeque for you to use and you can even search by it too – see outdoor grill! Learn about all the amenities and options you have with IVHE.com home exchanges. You could be cooking outside near the beach, up in the mountains or out in the countryside. With home exchange choices in over 70 countries around the world, there are so many great destinations for you to choose. Being on vacation you may not want to spend hours preparing a meal, so we would like to share with you some simple yet delicious barbeque meals. Steaks are always a favorite. My personal favourite and extremely easy is to buy Montreal steak seasoning. Simple sprinkle on your steaks to the level of seasoning you like, hand press into the meat, let stand for a few minutes then head out to the flames! With a bbq you can easily cook to everyone’s preference from rare to well done. I’m partial to ribeye but Montreal steak seasoning is great with most steaks. A more recent phenomena for barbequing is beer can chicken. Don’t worry if someone in your party isn’t crazy about beer, as the there is only a light transfer of hops taste, the main benefit of beer can chicken is keeping the meat delightfully moist. The process is simple, take a whole (cleaned) chicken and place it over a large (open) beer can. Stand directly on the grill and close the bbq lid. The beer will gradually release up into the chicken, helping with cooking and keeping the meat incredibly moist. Not only is this a great meal it is very funny to show to your family and friends, we’ll leave the joke comments about the beer can in the chicken to you. Burgers are always good bbq food but for a yummy change try lamb burgers. To prepare take your minced lamb, mix in an egg (so it sticks together), and mint spices. For an added surprise when making your meet patties, put a bit of cheese in the middle – brie is my favourite. Keep the amount of cheese small (marble size) and well inside the meat so it doesn’t ooze out while cooking. For a condiment offer some mint jelly, your guests will love the change from a regular beef burger. We’ll follow up with some veggie ideas in a futureblog. Do you have a favourite barbeque recipe to share? Send us an email; we would love to include it in a future blog. How about relaxing in a pool and then kicking back having a nice refreshing drink while barbequing, find your perfect vacation destination home with IVHE.com. For many of us summer is ending and we are dreading the thought of shorter days and colder nights. Maybe you didn't have a chance to get away this summer or maybe you simply have travel on another vacation before the end of the year. Either way, why not take a look at the International Vacation Home Exchange, IVHE.com, Last Minute Availability properties? The exclusive vacation homes available are continually updated with new opportunities for you to find a new adventure or a great place to settle back and relax. To view some of the options, simply click on our Last Minute Availability area in the vacation selection box. These could include sunny beach locations or even winter getaways for skiing. Maybe choose a city location for enjoying museums, art and great restaurants, or choose a relaxing countryside property for exploring nature or simply relaxing. If you have a specific sport in mind, IVHE.com has set up home exchange collections for golf, hiking / walking, fishing and skiing. Each of these pages feature homes that are located near the activity listed. Plus you can benefit by communicating with the owner of the property about their local experience – often they have great inside and local knowledge to make you activity vacation even more spectacular. Have more time to plan, use the IVHE map search to locate the perfect destination for your next vacation. As you zoom in or out the map will change showing you where the exclusive vacation homes are located. You can combine any of the search features to narrow or broaden your search requirements. Are you new to home exchange? Download a FREE home exchange guide or listen to an audio version. Wishing you a great vacation. Sit back, relax and enjoy watching short videos of exclusive homes for you next exchange vacation. IVHE.com is pleased to launch several videos on the IVHE.com YouTube channel featuring a selection of their members’ luxury properties. For an introduction to the types of homes available, start with the overview video. You can choose from several featured properties below. Click on the photos below for a video or on the property listing number for more details. Subscribe to the IVHE.com YouTube channel and get an update when we release new programs. 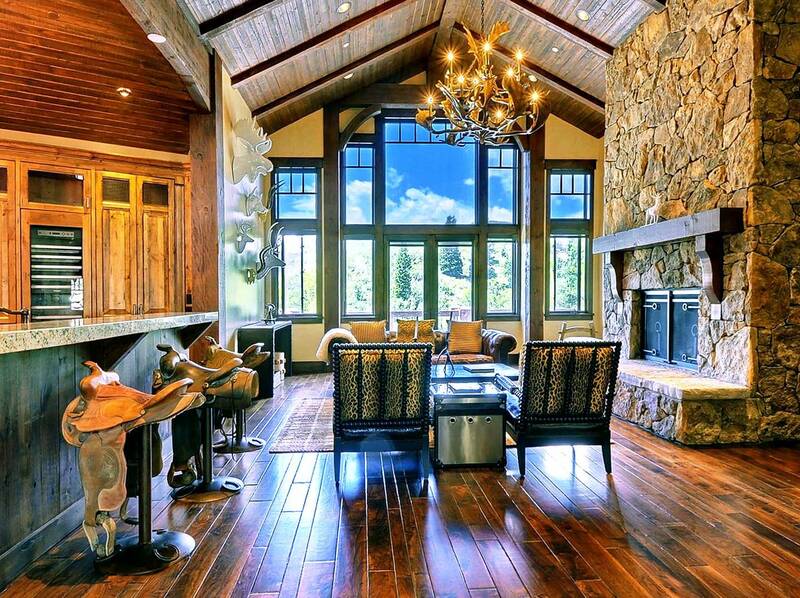 Interested in learning more about the features of our members’ vacation homes? Watch this infographics video. How do you choose the best home exchange network for you? This is the topic of chapter 3 in the Home Exchange Guide, just released for you to enjoy. 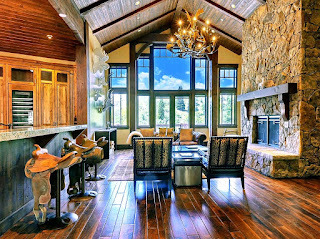 There are many options in home exchanging and dozens of home swapping networks and websites. How do you choose which one is going to meet your needs? Listen to this new podcast and learn about the different features and then choose what is best for you. The first two chapters were previously released and are still available. They cover important topics like Why Home Exchange and Are all Home Exchanges the same? The author, Larry Klimczyk shares with you useful insights from traveling the world (over 60 countries) and a decade of home swap experiences. Subscribe to this blog or the podcast series and automatically receive an email when these future chapters are released, or download a PDF version today at Home Exchange Guide. One of the most frequent questions we receive from our members here at IVHE is "How can I increase the number of trade requests I receive?" Here are a few suggestions we hope you find useful! There are lots of ways to build your profile and visibility on IVHE. Why not post a message on our Facebook page or submit a blog for the IVHE blog - these are both great ways to increase your properties exposure to IVHE members. An extra bonus is that we will give five free credits for first blog you have published and two for any subsequent ones! The more information you can provide about your property the better. As well as details about your property it is also very useful for potential visitors if you include some local knowledge such as regional festivals and events, good restauarants in the locality and proximity to major tourist attractions. Update the map on your property page. Add information to make it easy for your guests to choose your property. The saying "a picture says more than a thousand words" is very true when it comes to home exchange, we receive significantly more enquiries for properties with good quality images of both the interior and exterior of the property. Update your listing with local activities. What are fun things to do at or near to your vacation home? IVHE now has sort options on many different types of activities including golfing, horse riding, sailing, hiking, scuba diving, skiing and many more. If you update your listing to include the appropriate activity, your property will also appear in these searches. Plus, you'll find more people interested in trading with you. Why not take advantage of IVHE's unique Prime Time offer? You can submit up to two weeks of Prime Time. Those weeks will show on IVHE's Prime Time availabilities making it easy for members see properties that are available on set dates. As soon as you allocate the weeks and they are approved you get credited with the credit value straight away, so you do not have to wait for a trade to happen on your property before you can start travelling yourself! As well as being an easy way to boost your credit balance this is also a great way of promoting your property as it will be highlighted in our Prime Time newsletters and Facebook page. Are you new to home exchange, get a FREE Home Exchange Guide here. We hope you find these suggestions useful and would welcome any other suggestions you may have. For more information on home exchange please feel free to contact us any time.